Blockchain: What’s in it for Accountants? 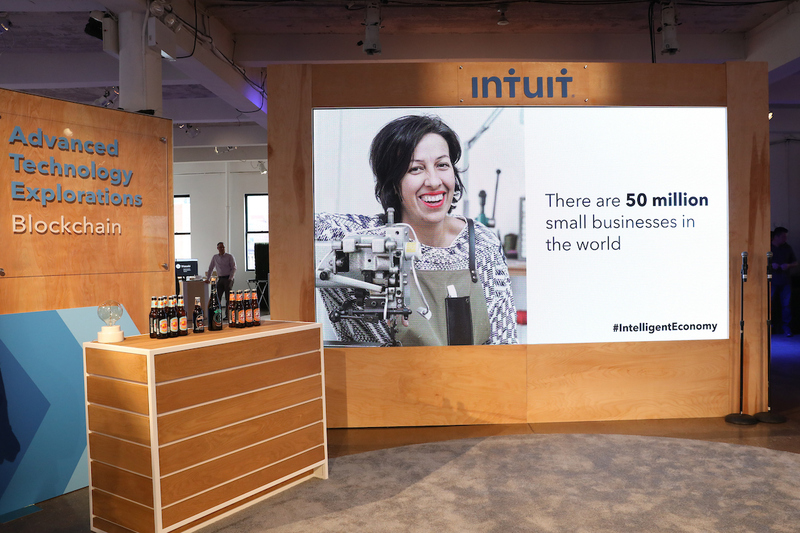 In late March in New York City, Intuit® brought together the innovators, products and technology experiments that are changing the lives of its 42 million customers at the Innovation Gallery Walk. Dubbed “The Intelligent Economy,” the event offered 26 demos showcasing the power of Intuit’s ecosystem. We’ve already featured articles on SmartMirror and Virtual Reality, and Emotion Detection, Voice and Chatbots. Now, let’s take a closer look at one of the technologies poised to help customers and accounting professionals prosper! Have you ever been in a situation where you want to sign up for something, but the application form asks for personal information you are not comfortable sharing? On a website, at an airport or in front of a bank counter, everyone wants us to prove that we are who we say we are. Intuit is applying blockchain to secure and verify one’s digital identity in a way that makes consumers feel confident and in control. In our current world, there are millions, if not billions, of data that are fragmented or unverified. Blockchain technologies – with Bitcoin being the most popular and well-known example – promise to transform how data is securely stored and exchanged. A blockchain works as an online ledger that is able to be viewed by everyone. As a block is updated or verified, the ledger is updated. It’s similar to a Google Docs with restricted settings, allowing only the verified authors to make edits, but enabling everyone to see them and see who made them. Blockchain can be used to aggregate data from verified sources to create unique configurations. The application of two of blockchain’s features, smart contracts and distributed ledgers, in the mortgage industry, for example, would fix some of this industry’s inherent inefficiencies by updating ledgers immediately, automatically, transparently and with traceability. The modern accounting system, built to make forgery impossible, or at least very costly, is a series of mutual control mechanisms, checks and balances. This affects accountants’ day-to-day operations because most of the systematic duplication of efforts, extensive documentations and periodical controls require manual and time-intensive labor. Because blockchain is an openly available distributed ledger, using it to simplify the compliance with regulatory requirements, and enhance the double-entry bookkeeping system, might represent the next step for accounting. For example, companies can write their transactions directly into a joint register, instead of keeping separate records based on transaction receipts. This creates an interlocking system of enduring accounting records. Similar to transactions verified by a notary – since all entries are electronically distributed and cryptographically sealed – falsifying or destroying them to conceal activity is practically impossible. Auditors would be able to verify a large portion of the most important data behind the financial statements automatically, reducing the cost and time necessary to complete an audit. Stay tuned for more content from Intuit’s Innovation Gallery Walk. We’re looking forward to sharing with you more examples of how we’re exploring emerging technologies to better serve our customers!